A large number of financial transactions are executed by individuals every day via bank accounts, and with the passage of time, these transactions are becoming more complex. Different financial terms are used by financial institutions and banks to identify particular balances. Two of these balances are Available Balance and Ledger Balance. If you are not familiar with the financial terms, you may end up in confusion when you see these names appearing on your bank statement. The names suggest that both of these balances are the same, but they are not. The ledger balance actually includes all the interest income and deposits after subtracting the debit entries and withdrawal amounts as the business day ends. On the other hand, available balance actually represents the available withdrawal amount, and exclude the checks that are cleared in that duration. Let’s look at a definition of these balances in detail and how they are different. This is the amount of balance that can be withdrawn by the individual at any time. It shows the difference between ledger balance and a financial activity that is not yet fully processed. Whenever a financial transaction appears in your account, it changes the available balance. Therefore, the available balance reflects the movement in your account that occurs when a financial institution receives a detail of any transaction. From a bank’s point of view, your available balance is a particular balance that a bank keeps during a certain period of time, and if you receive a check of big amount during that period, your account is overdrawn by the amount of the check. So, the bank will probably return that check. The ledger balance, also known as the account balance, represents the existing balance on the account at the beginning of the business day. You can see this balance on a bank statement. If you have a bank account with the interest bearing properties, you can use the ledger balance to calculate the rate of interest. Moreover, you can also use this balance to identify whether the requirement to maintain a specific amount of balance is being fulfilled on some account types. The difference between these two balances lies in the fact that sometimes, financial institutions like banks do not release the deposit for a certain period of time in order to make sure it is a legitimate balance. These deposits include, the amount deposited once the working hours are over and the outstanding checks. From the business perspective, the ledger balance represents the final amount after accounting for the financial activities of the previous night. It is a combination of the available amount and the amount that is pending for withdrawal. Whereas, the available balance is a combination of ledger balance and all other activities presented as outstanding electronic transactions. You can access the available balance whenever you need it. However, it is not the same with ledger balance, because ledger balance represents those financial activities that are authorized, but are yet to be paid. It is very important to understand the difference between these two balances in order to avoid the overdrawing of your account. For example, if you write a check after looking at your ledger balance, you may end up withdrawing more than the actual balance, which may eventually lead to overdraft charges. Similarly, if you are confused about identifying your balance, you can incorrectly assess the overall financial performance of your account. Therefore, it can be confidently stated that you can avoid unnecessary charges and overdraft fees if you manage your account efficiently and keep track of your inflow and outflow including the outstanding receipts and payments. 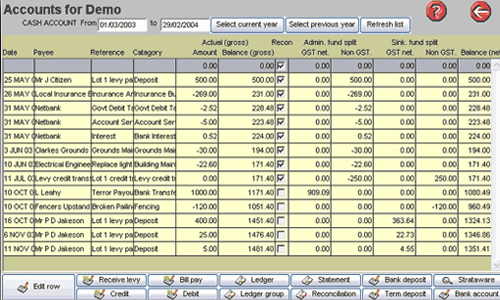 The accounting applications and computerized programs are very useful tools to help you manage your account. Hira Waqar. "Difference between Available Balance and Ledger Balance." DifferenceBetween.net. September 27, 2017 < http://www.differencebetween.net/business/finance-business-2/difference-between-available-balance-and-ledger-balance/ >.